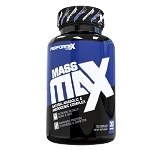 Pre-workout supplements play an essential role in a person's exercise and diet regimen. They must deliver on many fronts: energy, focus, blood flow, and performance, just to name a few. In order to properly prepare the mind and body for the hard work ahead, a precise blend of ingredients working together synergistically must be achieved. 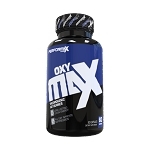 That is why Performax Labs is proud to present HyperMaxTM: a fine-tuned formulation of clinically-backed, efficaciously-dosed ingredients for optimal performance. Our blend of vasodilators, adrenaline boosters, and sports performance enhancers will keep your brain humming and your body pushing through, no matter what you throw at it. Citrulline- The precursor to arginine that works better than arginine to boost blood flow to skeletal muscle. 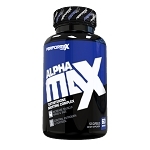 Beta-alanine- One of the most trusted and well-studied ingredients available, this precursor to carnosine helps to buffer acid buildup for increased exercise performance and lean mass with reduced muscle soreness. B-phenylethylamine HCl- A trace amine that can increase the action of noradrenaline to vastly improve focus and cognition. Eria Jarensis Extract- A wide spectrum of phenethylamines for enhanced efficacy and longevity of cognitive enhancement. Hordeum vulgare- This natural source of hordenine acts as a noradrenaline reuptake inhibitor to enhance its effects and enable it to last longer. Caffeine- At 325 mg, this popular stimulant will deliver powerful enhancement of exercise performance, whether aerobic or anaerobic.